On June 22 last year, a pair of nearly four-inch-long beige eggs with brown splotches hatched in a nest built in a marsh. It was a fairly ordinary event as far as eggs go, but the birds in question were anything but ordinary. They were Whooping Cranes, the most endangered crane species anywhere. And the site of their hatching — Necedah National Wildlife Refuge in rural central Wisconsin — was extraordinary as well. Home to exactly zero Whoopers seven years ago, it is today home base to the most ambitious reintroduction project this side of the California Condor, and one of the most successful. More than 80 cranes, including 22 that were raised at the refuge last year, make up the population. [Feb. 12 update: The population now numbers 63 birds.] Most were taught to migrate behind ultralight aircraft to wintering grounds on the Florida Gulf Coast, and a few have learned the route from older birds. They return north each spring, but some have strayed off track, ending up in far-off places. One of the oldest lives alone. Others prefer the company of Sandhill Cranes, at least for now. 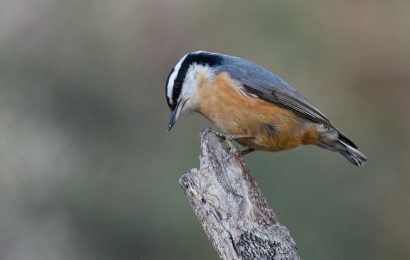 Pairs have formed and some among younger birds have dissolved. Nests have been built and eggs laid, only to be abandoned by inexperienced parents. (See profiles of individual cranes in the green boxes below.) And two eggs have hatched in the wild. The chicks were the first since the project began. Not only that, but for 12 weeks, their four-year-old parents attempted something that Whooping Cranes rarely pull off — they tried to raise twins. Everyone involved in the recovery knew that guiding both chicks to independence would be a big challenge. As they began replacing their cinnamon-brown juvenal feathers with adult-like white ones, they’d be more conspicuous to passing Bald Eagles or other predators. To stand a chance of escaping them, the birds would need to fledge — in cranes, fledging occurs when a young bird is capable of sustained flight, typically at 80 days of age. Whooping Cranes in the eastern population are radio-tracked and fussed over every day of their lives. To help tell the birds apart, biologists use leg bands in unique color combinations. They also use numbers rather than names. Numbers are assigned based on the order and year in which the birds hatched. Crane 7-01, for example, was the seventh to hatch in 2001. Wild-hatched chicks receive a “W” in front of their numbers. We follow this convention in our article. Visitors to the website of Operation Migration, the group that flies the ultralights, will find the same information but in reverse order: year first and hatch order second. By early September, about 75 days after hatching, one or possibly both chicks were flying short distances. But on the afternoon of September 12 (Day 82), the larger chick probably picked up a tail wind. It and its parents wound up on the south edge of the refuge, just yards from the state highway that runs along the refuge boundary. All of the cranes in the Wisconsin-Florida flock wear radio transmitters on their legs. The devices broadcast continually, sending out signals that permit biologists to distinguish one crane from another. To follow the birds’ movements, trackers crisscross the refuge in pickup trucks equipped with roof-mounted directional antennae sensitive enough to pick up the signals of birds as far as five miles away. Tally Love is an intern with the International Crane Foundation who has been tracking cranes since last summer. Summoned to the scene after a refuge official spotted the trio, she looked on in horror from her truck as the fledgling came within a few feet of a sudden, heartbreaking end. At first, the birds seemed content to forage in a nearby grassy area and in the ditch that ran alongside the road. But then the birds started to drift toward the road, perilously close to the cars and trucks that barreled past. When a semi-trailer truck blared its horn, the three scampered back down to the ditch. In time, one of the adults opted to walk across the road, and the other two followed. The birds set out across the blacktop — and directly into the path of another oncoming semi. Having witnessed one near-miss already, Love now feared the reintroduction project’s proudest achievement to date would vanish right before her eyes. Instead, the truck driver hit the brakes, slowing his rig just enough to avoid crushing the three most famous cranes on the continent. Two pilots from Operation Migration and lead tracker Richard Urbanek arrived shortly. Donning their white crane costumes, they crated the chick and drove it back to the family’s territory. It and its sibling would roost separately that night. The pilots and Love flushed the parents from the roadside. The birds flew back to the refuge but, curiously, did not return to their territory. Could the young birds survive a night without their parents? No one knew. The next morning, the chick that had flown to the highway rejoined its parents, and its life returned to normal. Now known as W1-06, the youngster began migrating with its parents (11-02 and 17-02) on November 19 and arrived in Florida on December 9. Despite the chick’s loss and the close call on the highway, Wisconsin’s first wild Whooping Crane family marked a huge step forward. The successful hatching, fledging, and migration of W1-06 showed that the birds can reproduce on their own. 11-02 and 17-02 were the first of what organizers hope will be at least 25 breeding pairs. Four other pairs incubated eggs last spring, and six more pairs formed before summer’s end. I visited Necedah twice last year to learn how the cranes are tracked and to follow the First Family’s progress. In early August, I rode along with Love as she drove around Necedah’s back roads looking for Whoopers. 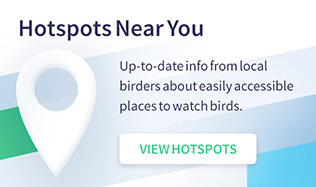 (The birds mostly avoid areas that can be seen from Necedah’s publicly accessible roads. Padlocked steel gates block access to one-lane tracks, so only refuge personnel with keys can drive them.) I learned that the birds are tracked every day on the refuge and on surrounding state lands and cranberry farms. The trackers occasionally check up on birds that wander far from Necedah, including birds in Minnesota and Iowa. Love and I saw cranes on several of the refuge’s large wetlands. Many were so far away that they were small even in our spotting scopes. The radio receiver picked up several birds that we couldn’t see due to thick vegetation. But a few were close to the road. As we approached a pond, the receiver picked up the signals of cranes 12-02 and 19-04, a pair that formed earlier in the year. Love drove by slowly. What I saw next shocked me. It’s one thing to learn that Whooping Cranes, at five feet tall, are North America’s tallest birds, but it’s quite another to see five feet of brilliant white feathers, black legs, a hefty bill, and a red and black crown. Their size seemed even more imposing later when we found 1-03 and 11-03 preening on a lakeshore in the company of Great Egrets. Pure white and more than three feet tall, egrets bear a superficial resemblance to Whoopers, but compared side by side, the egrets looked puny. Love wondered why the cranes allowed the egrets to stay close. I didn’t know, but I could see why the egrets would want to. It’d be like two NFL linemen allowing a bunch of high school players into their inner circle. I went back to the refuge on October 5, the day the ultralight pilots and 18 young Whoopers began their migration to Florida. They stopped at a temporary pensite at the Halpata-Tastanaki Preserve in Marion County on December 19 and arrived at Chassahowitzka National Wildlife Refuge, the project’s wintering site, on January 11 and 12. In late March or early April, the yearlings will return north unassisted and officially will be on their own. The man who will take on the task of watching over the flock’s newest birds will be Richard Urbanek. A career U.S. Fish and Wildlife Service biologist, he’s made it his mission to know where most, if not all, of the post-release cranes are at all times. 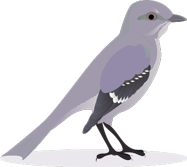 He coordinates captures of wayward birds, and when a bird’s stationary radio signal indicates that it has died, he’s often part of the crew that recovers the carcass. He pays close attention to nesting pairs in spring, and he spent much of last summer following the lives of the First Family. I sat down to talk with Urbanek in October. “One of the things that I’m particularly interested in is pair formation,” he says. “When you start with all the birds being captive-reared, how do you get from there to a totally wild flock? My goal on this project has been to have this whole process completely and totally documented with every bird. So far, we’re doing it. Looking back on the last six years, he says the reintroduction project has progressed as he’d thought it would. Reproduction is right on schedule, and the number of post-release deaths — 18 cranes, plus the wild chick that died last September — is about what he expected. The reintroduction “has been an obvious success,” he says. “The thing I was most concerned about at the beginning of the project was that the ultralight birds, considering all of the people who had to participate in rearing them and how strictly the protocol has to be enforced, would end up as tame birds. Urbanek planned to watch the cranes closely over the winter months. On my August visit, I saw the First Family twice, and they seemed as wild as any other birds I’ve ever seen. It was still a family of four that day. In the morning, Birder’s World Editorial Associate Jessica Eskelsen and I spotted them from the refuge observation tower foraging along a distant lakeshore. We couldn’t believe our eyes. We alone were watching the birds every craniac in America cared about. The parents seemed protective. When they came upon Canada Geese loafing in the water, one adult chased the geese away. At sunset, Urbanek drove Jessica, Photo Editor Ernie Mastroianni, and me to a spot where we could see the family’s roosting island. The male called ker-loo at our approach while the female tended to the chicks on the island. When Urbanek turned the truck around to leave, I glanced back at the family one last time. They were difficult to see in the fading light. “So fragile,” I thought to myself. Yet with years of considerable effort by an untold number of people, here they were, able to stake a claim to a wild life. Six decades ago, the number of Whooping Cranes in North America was perilously small — 15-16 birds were hanging on in Texas, and only six remained in Louisiana. Determined to act on the birds’ behalf before it was too late, a confederation of ornithologists, conservationists, and government agencies sprang into action. By 2001, the migratory Texas flock had been protected, three captive groups had been established at the federal Patuxent Wildlife Research Center, the International Crane Foundation, and the Calgary Zoo, and non-migratory cranes had been released in central Florida, boosting the total to 381 birds. The Texas flock, however, winters near a busy shipping channel. If an oil spill or some other disaster were to occur nearby, the world’s only naturally wild Whoopers would be in jeopardy. As a hedge against a calamity, crane experts decided to create an “insurance population” that would migrate in eastern North America. They chose Necedah National Wildlife Refuge in Wisconsin as the birds’ summer home and Chassahowitzka NWR on the Florida Gulf Coast as their winter destination. The first birds of the eastern flock arrived at Necedah in summer 2001. Hatched in captivity and raised so they never heard a human voice or saw a person who didn’t wear a white crane costume, the young cranes were taught to fly behind ultralight aircraft. That fall, seven pioneering birds followed the planes all the way to Florida. Bobcats at the refuge killed two, but the remaining five returned to Wisconsin unassisted the following spring, proving that the migratory experiment would work. Since then, five more classes of Whoopers have learned to migrate behind ultralights. And in the last two years, eight young cranes have been released near adults and have learned to migrate with them. The 63 birds in the eastern population will return north in March or April. 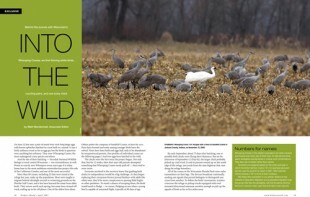 Matt Mendenhall is the Managing Editor of BirdWatching magazine. Behind the scenes at Necedah NWR. 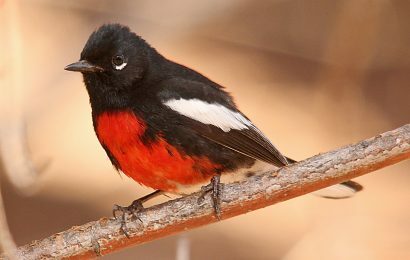 20 birds birdwatchers want to see most. Five backyards that birds love. The 10 most-wanted birds in North America. Historic ranges and 22 reported sightings of Ivory-billed Woodpeckers since 1944. 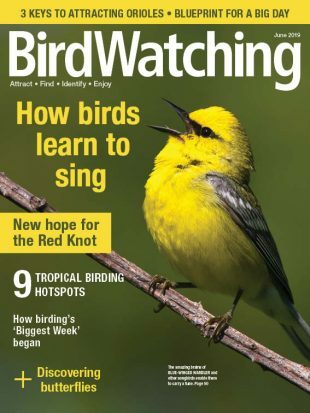 Matt Mendenhall is the editor of BirdWatching magazine and BirdWatchingDaily.com. 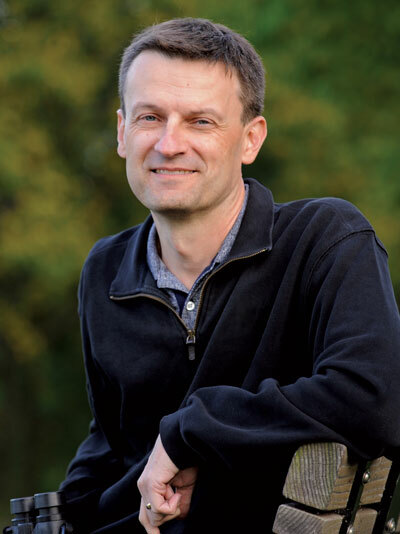 He joined the staff of BirdWatching (formerly Birder’s World) in 2000 and has worn many hats over the years: reporter, story wrangler, photo editor, managing editor, and now editor. Originally from Omaha, he lives with his wife and two daughters in Milwaukee and holds a Bachelor’s in journalism from Marquette University. You can reach Matt at (617) 706-9098 and [email protected]. 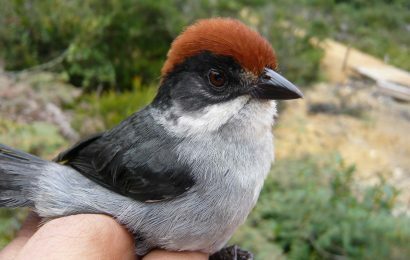 Four populations of the striking rusty-crowned Antioquia Brushfinch have been found — fewer than 20 individual birds so far.